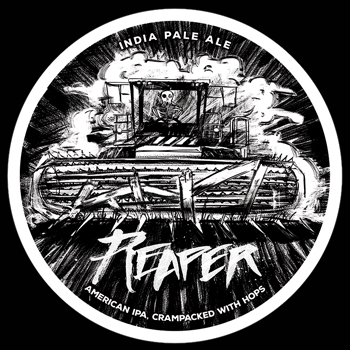 Reaper is a red India pale ale, hopped with Nugget, Simcoe, and Mosaic hops. It’s a medium-bodied beer with some roast and caramel sweetness. The combination of hops lends a spicy, tropical pine flavor.